We are committed to enhancing public facilities. From now on, I will continue to work hard to create a comfortable space. We also have a hot bath for foot bath. 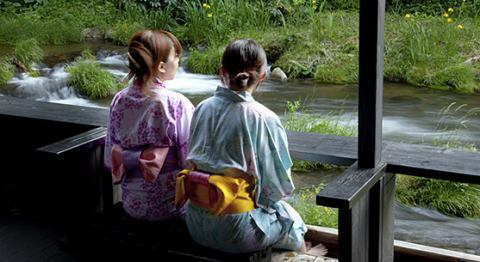 Please spend a relaxing moment while feeling "Kawakaze" of the mountain stream. Featuring to Kawakaze Foot Bath Kawakaze TerraceWhile feeling a Kawakaze at the end of the Kawakaze up, please enjoy the moment of bliss with a hot-water barley tea or a hot-water beer. 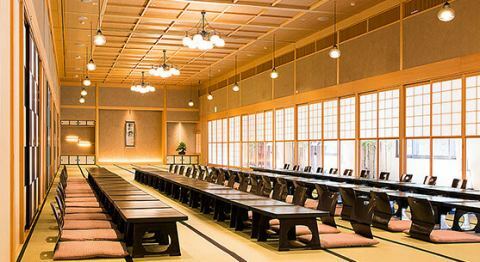 In the dining hall 'Oharatei' you can eat a meal in a table (dining) style in tatami. 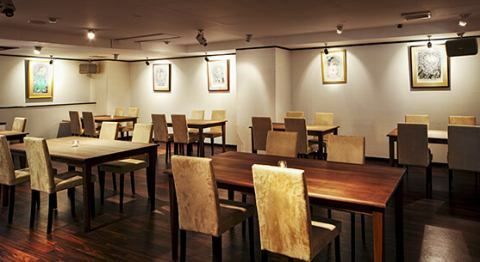 The venue for the breakfast buffet is here.In the evening you can use it as a banquet hall. 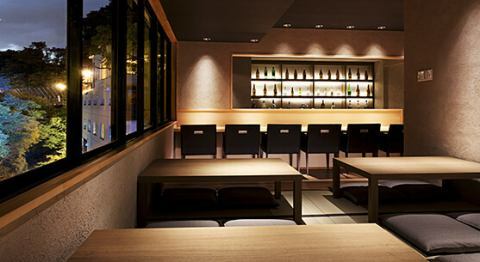 3F, "Ryotei"Kaika-tei Tea "", Dining "Kaika-tei"
Renewal open in June 2013. 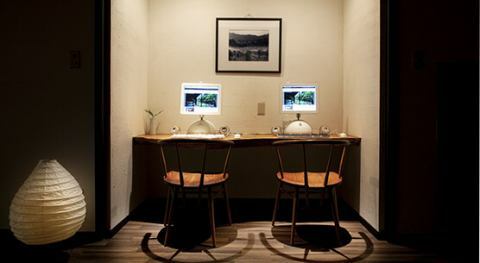 Of course not only private rooms but also exclusive Japanese rooms, counter seats at open kitchens, bar counter seats, window side counter seats of the view are also available. 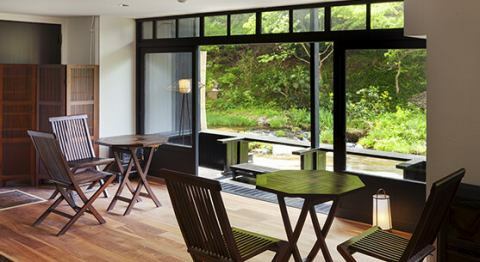 3F, "Dining Hana Mizuki", Gallery dining" Hanamizuki "
Renewal open in May 2010. 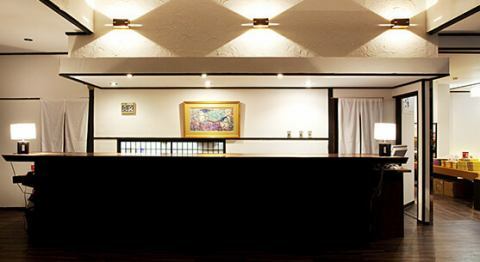 The dining hall where works by "Mikata Shiko" are exhibited. 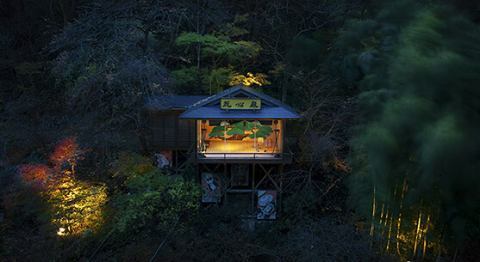 It is an example of a dinner venue. We are also available for private charters. 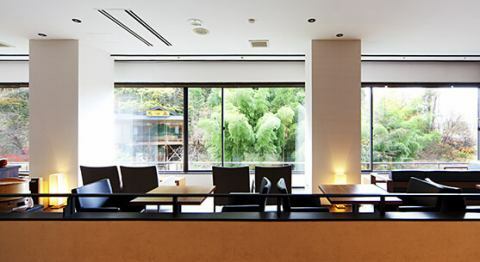 "Shikitei" named after being able to feel the transitions of the four seasons full of windows. We also accept charter for small groups. 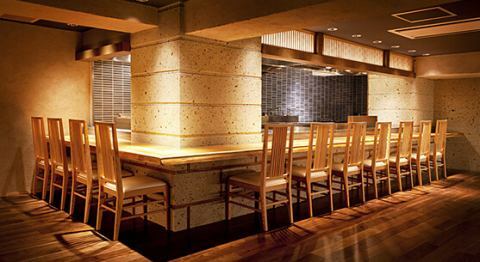 In the evening we will also open as "Ramen disposal" which you can enjoy such as "Aizu ramen". 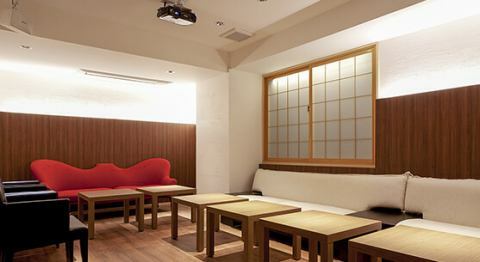 3F, "Tohoura no Ruji" 河 鹿 ", Karaoke lounge" Kajika "
It can be used for karaoke use at meetings and charters. 4F, "View Lounge kotemari", View lounge "Kodemari"
The lounge with passion furniture, fixtures and interior can be used for check-in service and viewing Noh performance events from 9 o'clock in the evening. Specialist staff will be happy to help you travel. 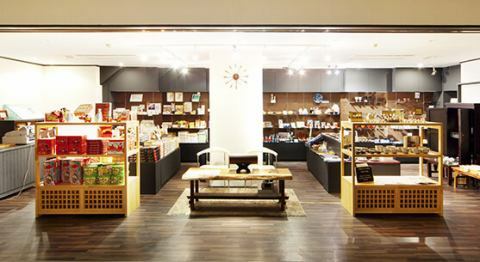 4F, "Select Shops Hana Kasumi"Select shop" Hanakasumi "
A select shop that gathered passionately about Aizu's crafts and souvenirs. Please take the gem of Aizu's masterpieces, please take it in hand. Free PC corner in lounge. You can use it for searching etc. Also, free wireless LAN connection is available near the lounge. ※Please take notebook computer etc. when using wireless LAN. 4F, "Noh Stage "Kashinden""Noh theater" Kashin-den "
The hotel is famous as a very valuable hotel nationwide with an outdoor stage. For special ceremonies etc, performances on the stage will be held. 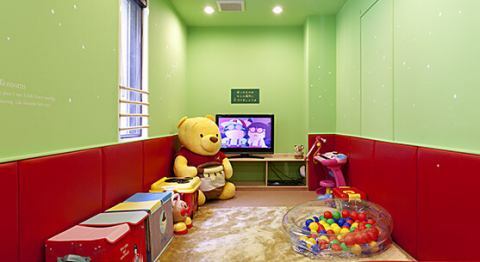 Kids room of main building "Shousuke no Yado Waterfall no Yu"! Please use customers with small children. For details, click on the screen! 【※Notes※】Because the location is a facility along a cliff, there are many small steps in the facility due to the structure (steps due to piping and wiring etc. ).As much as possible, we are going to install slopes and install handrails, but not complete barrier free, so please understand in advance.In addition, before the public bath, there are stairs, and those who have difficulty walking freely are difficult to move.Also, we do not allow wheelchair access in the rooms.If you are uneasy, please contact us in advance.If you do not have an inquiry in advance, please understand beforehand that there may be cases where appropriate guidance can not be made. ※100% will be charged without permission. The public bath is changed for men and women at 5:00 every morning.